In celebration of APSA’s Conference theme this year on democracy and its discontents, we bring you the latest and best of our research on that topic which is free to access until 20 September 2018. Just click on the hyperlinks below to go straight to the download page for each article. To whet your appetite, here are three highlights from our range of articles on democracy, all of which aim to enhance our understanding of its importance. 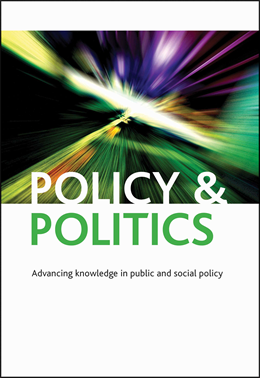 Our second highlighted article on Public deliberation in an era of communicative plenty is by Selen Ercan, Carolyn Hendriks and John Dryzek. It introduces and develops the concept of ‘communicative plenty’ to capture the implications of the increasing volume of communication, both online and face-to-face, in contemporary democracies. Drawing on recent systems thinking in deliberative democracy, the article argues that communicative plenty can offer a viable context for large-scale public deliberation provided that: i) the spaces for voice and expression are accompanied by sufficient spaces of reflection and listening; and that ii) collective decisions involve sequencing of first expression, then listening and then reflection. To substantiate this proposal, two cases where conventional democratic practices were modified either formally or informally to promote greater listening and reflection are subjected to close empirical analysis. The analysis reveals that designing spaces of reflection and listening is a practical means to enhance public deliberation and so democracy, particularly in contexts vulnerable to an overload of expression and the risks to the democratic process of the overwhelming ‘noise’ of communicative plenty. Our third and final highlighted article by Adrian Vatter, Bianca Rousselot and Thomas Milic, aspires to develop a new research agenda for the input and output effects of direct democracy. Based on a wide-ranging review of the existing literature, it provides an original, state-of-the-art analysis of the field of direct democracy. Distinguishing between the ‘input’ and ‘output’ effects of direct democracy, the article identifies the main empirical insights and normative arguments regarding voter competence, turnout, the influence of special interests, agenda setting and policy change. At the same time, it draws attention to a number of hitherto understudied issues, and makes a series of theoretical, methodological and empirical recommendations to advance the field of study. In particular, it argues that insufficient attention has been given to the link between direct democracy and policy implementation. Finally, and most ambitiously, the paper calls for a radical new theory of direct democratic voting behaviour that draws upon insights developed in the field of electoral studies to explain why voters choose a ballot proposal in direct democratic votes. Chris Weible and Paul Cairney on what practical lessons we can draw out from policy theories. Claire Dunlop on why learning from policy failures is crucially important. Get downloading before 20 September or miss out!